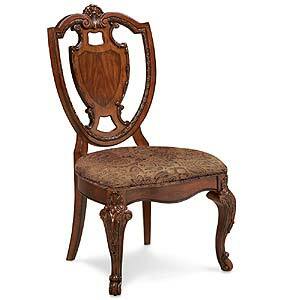 Exquisite craftsmanship and impeccable style make dining a delight with this upholstered back side chair. French Provincial influences are evident in this dining table chair's scalloped back and tapered legs with fluted detail. 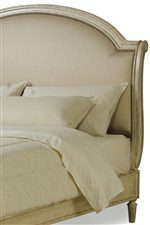 Plush upholstery the color of clotted cream was designed with the comfort of you and your dining guests in mind, while your choice of indulgent English Toffee or antiqued Linen finish makes matching a breeze. Beautiful as a standalone piece, this dining room chair's curves are further enhanced by the addition of the coordinating upholstered back arm chairs and two-tone dining table. The Provenance Upholstered Back Dining Side Chair by A.R.T. 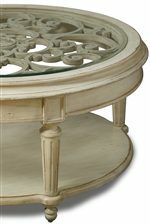 Furniture Inc at Thornton Furniture in the Bowling Green, Alvaton, Glasgow, Scottsville, Franklin area. Product availability may vary. Contact us for the most current availability on this product. Finish Radiata solids and Pine veneers available in Linen finish. Select items available in a shimmery Bezel finish. A sunlit country chateau. A colorful farmers market on a lazy Sunday afternoon. A tranquil river winding its way past cobblestone streets. Inspired by provincial regions found throughout France and England, the Provenance collection captures the essence of these romantic lands and transports them to the comfort of your home. This inviting assortment of bedroom, dining and living room furnishings bears conventional touches that blend in with traditional decor, while at the same time maintaining a look and feel that is casual enough for everyday use. Exquisite design elements repeated throughout come together for a cohesive, well-designed look, and the warm Linen finish makes for a seamless transition when added to existing decor. 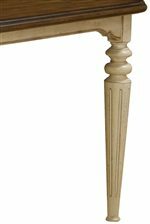 Tapered legs with fluted detail, whimsical scalloped edges, wrought iron accents and nail head trim add depth and lend a custom feel to the entire collection. 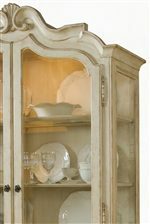 Usher the beauty and culture of Provincial France into your home and ensure a lasting impression for years to come with the Provenance collection. 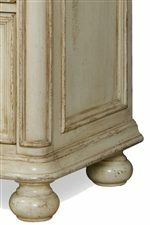 The Provenance collection is a great option if you are looking for Traditional furniture in the Bowling Green, Alvaton, Glasgow, Scottsville, Franklin area. 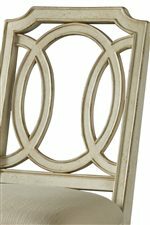 Browse other items in the Provenance collection from Thornton Furniture in the Bowling Green, Alvaton, Glasgow, Scottsville, Franklin area.